It’s tricky buying individual gifts for people for Christmas and it is so easy to get it wrong for loads of reasons – maybe you don’t have a clue what they would like or maybe they actually don’t want or need anything. 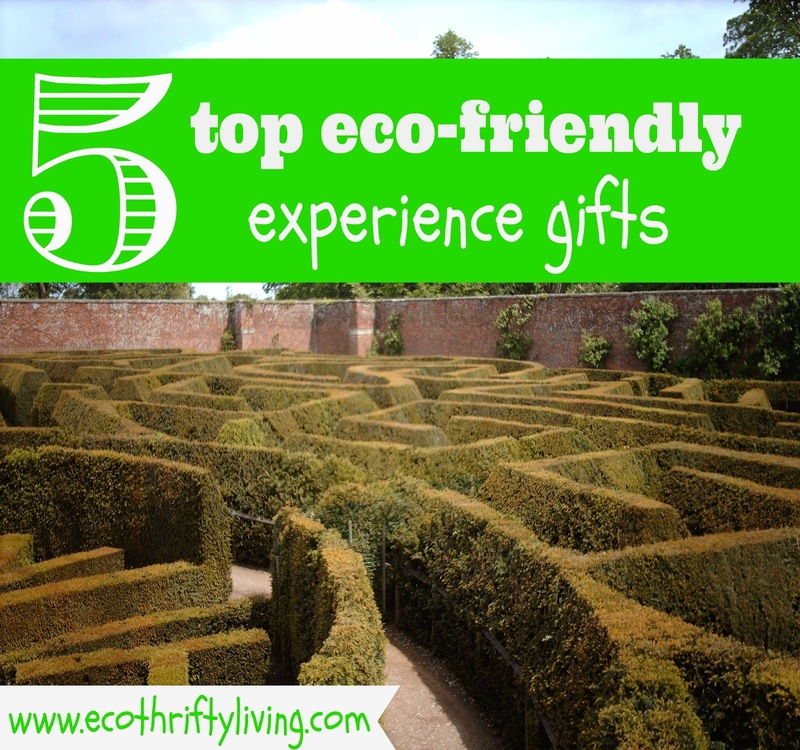 I have a list of eco-friendly suggestions for gifts to buy her and another list of eco-gifts to buy him, which are definitely worth checking out, but if none of these fit the bill I have an alternative idea! Instead of buying each person in a family unit a gift, pool the money you would have spent on individual gifts and buy the whole family or couple an experience subscription or membership (you could also club together with others to do this). This means they get to enjoy loads of great experiences throughout the year together and there are no unwanted gifts gathering dust at the back of a cupboard. It’s also less hassle for you because you can buy and give them online and they don’t need to be gift wrapped! If you want to though, a relevant book could make a lovely addition to these gifts! 2. English Heritage membership is currently listed as costing £92.50 for a couple or a family for a year. They also do a discount for seniors over 60 and charge £67 for a joint senior membership. We took our kids to visit Pevensey castle last year, which is an English Heritage site and they loved it. They were talking about it for ages afterwards! I think this is a great gift and we have given membership of this to our parents in the past. It’s lovely that they get to enjoy it all year long. Both National Trust Membership and English Heritage membership are brilliant gift ideas, but it is worth looking into how many sites are near the people you are giving the gift to, as in some areas English Heritage membership would give access to more local sites and in other areas National Trust membership would make more sense. A great physical gift to go along with this membership for people who are likely to visit London is London’s Blue Plaques – useful for kids learning about London’s history at school and interesting for the adults too! 3. ZSL membership gives you unlimited access to ZSL London Zoo and ZSL Whipsnade Zoo for a year. On their website they say ‘(ZSL) is an international scientific, conservation and educational charity whose mission is to promote and achieve the worldwide conservation of animals and their habitats.’ There are so many animals on the brink of extinction and every effort to save them is so important. Membership isn’t cheap, but if you pay by yearly direct debit you get 20% off and you will pay £229 for a family of 2 adults and up to 5 children, £154 for 1 adult and up to 5 children or £169 for 2 adults. Make sure you remember to cancel that direct debit after you have paid or you could end up paying more than you planned! Going, Going, Gone: 100 animals and plants on the verge of extinction could be a good accompanying book with this gift! I know my kids would be fascinated by something like that! Another great book to go with this is The Last Rhino’s by Lawrence Anthony (suitable for adults and teenagers). It is a true story, very readable and really makes you understand how hard it is to protect some of the really endangered animals in Africa. 4. We visited the Eden Project the summer before last and as well as educating it’s visitors about environmental issues, there was so much on for kids in the school holidays. When we went they had story telling and live dinosaur performances. If the people you want to give a gift to live near Cornwall or visit it a lot, Eden project membership is such a lovely gift and is pretty reasonably priced as with all their memberships they allow you to bring a family guest (or more guests depending on the membership). £45 will get you a membership for someone over 60 (plus one family guest) and £85 will get you a family membership – which is for 2 and 3 children (plus 2 family guests). If you pay by direct debit it will give you £5 off those prices, but again it is really important to make sure you cancel it once paid, so that you don’t end up paying for another year by accident! A good book choice for the adults or older children to go along with this gift is Eden by Tim Smit which tells the story of how the Eden Project came into being! 5. There are over 170 RSPB nature reserves around the country which you can visit for a bit of bird spotting! Yearly RSPB membership will give you free access to these sites, along with a quarterly magazine for adults and the kids will get a magazine 6 time a year as well as other perks. Membership currently costs £48 for an adult or £21 for a child. Or a family can join from £5 a month. The RSPB says they spend ‘90% of net income on conservation, public education and advocacy’ so you are supporting a good cause along with your membership. The RSPB Pocket Guide to British Birds is the perfect gift to give with this one so that they know what to look out for on their bird spotting adventures! The prices of these experiences vary, but on average you are looking at around £100 for a family, which is pretty reasonable. Experience gifts like these can make lasting and treasured memories for years to come and I know lots of people would prefer them to being given something they really don’t want. On top of that they won’t clutter up anyone’s house and you will be supporting some great charities – what’s not to like! Coming up next Thursday: I have been nominated for an award in the UK Blog Awards (thank you to whoever it was that nominated me!) and I will be sharing the details for how you can vote for the blog in the awards on Thursday. There is a lot of competition out there for these awards and to be in with a chance of winning and to be able to use it as a platform to spread the eco-thrifty message further I need all the help I can get! Please look out for the post on Thursday and take a few moments to vote. Thank you for all your support! This blog post contains affiliate links. Using these links won’t cost you any extra and anything you purchase will help to support the blog. Thanks! This entry was tagged Chanukah, Christmas, eco, eco gift guide, environment, environmentally friendly, experiences, gift giving, gifts, Green, sustainable. Bookmark the permalink.